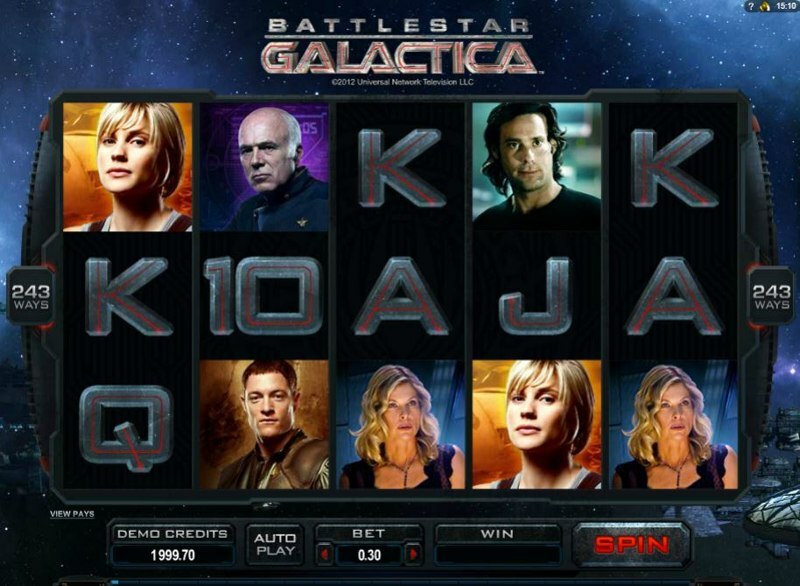 One of the most popular games from the Microgaming catalog comes in the form of the Battlestar Galactica slot. A spin off from the ever popular TV series, this slot follows a host of characters as they plot their way around the universe in an attempt to defeat evil. As with most of the branded slots in the industry a good fan base already exists for this game, which is likely one of the main reasons it has done so well. Interestingly, Microgaming has decided to include their 5 reel, 243 payline game. We say interestingly because these branded games are often overlooked for this style as the developers assume their popularity will be higher than most. On top of this you will get a free spins feature, wilds, scatters and an accumulate ranking bar. 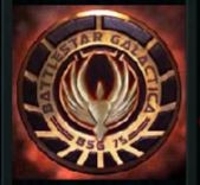 For those of you previously unaware of Battlestar Galactica, the TV series is one of the most popular Sci-Fi shows in the world; think of it as a mix between Star Trek and Star Gate. The slot actually includes a number of the main characters as symbols on the reels including Starbuck, Apollo, Baltar, Six, Col. Tigh, Helo, Ellen, and Tyrol. The ranking feature is something that is pretty rare on Microgaming slots but is actually a really welcome addition. Your rank will increase with every spin of the wheel. You can keep check of your rank at the bottom of the slot and as the bar increases, you will be able to unlock exclusive videos from the TV show. When you mac out a ranking level you can unlock super wilds which cover a whole reel. The free spins section is where you need to be to have a chance of winning the huge jackpot of 1,400,000 coins. To get into this feature you will need to pick up three or more of the free spins icon which are the red space ships. One you are in, you will receive 15 free spins and a three times multiplier on all wins. It’s worth noting that the free spins cannot be triggered within this feature, which is a little disappointing. 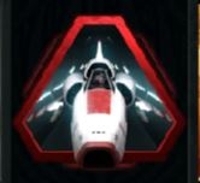 The wild symbol is the Battlestar Galactica symbol and will substitute for all symbols apart from the free spins feature. The Wild will be stacked on the first reel and also stacked within any bonus or free spins round. There are two bonus rounds which are known as the Ion Storms. These features can land at any time which is seemingly random, but we have found that the more you wager the more often they come about. The first game is called Run and this is activated by the timer symbol landing on the middle reel and then paying any winning payline left to right and right to left. It’s also able to move up and down that reel to make multiple winning lines. The second is called Flight and this will turn random symbols into Wilds at any time. It also has the ability to split Wilds to again make multiple winning combinations.